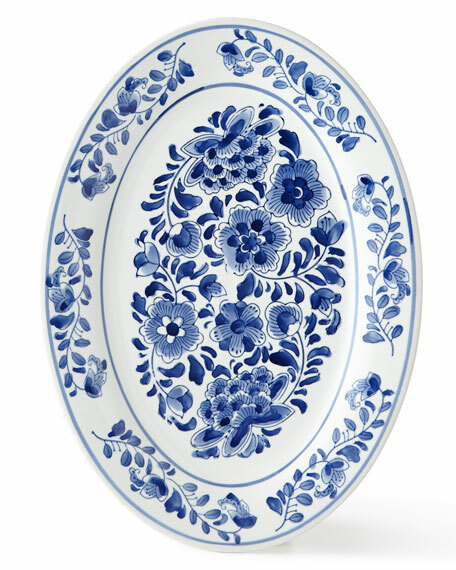 Asian inspired patterns showcased on traditional blue and white porcelain, incorporating a dozen different designs. Hand painted; designs may exhibit imperfections due to handcrafting. 11.5"W x 15"D x 1.25"T.